You are here: Home > Tutorials > Web Design > Is It Possible to Establish a Successful Website with a Website Builder? In an online world that is ever-changing and holds endless opportunities, website growth and success is more important than ever for a business’s future or one’s personal ventures. Your website represents your online presence, branding, focus, and goals, so naturally, it has to be designed and developed right. Many businesses, bloggers, coaches, or any online presence use coding for their websites basic set up. However, coding can be time-consuming and frustrating for those who have no prior experience or knowledge of the term. That is where a website builder comes into play, and eliminates the fuss of coding altogether. 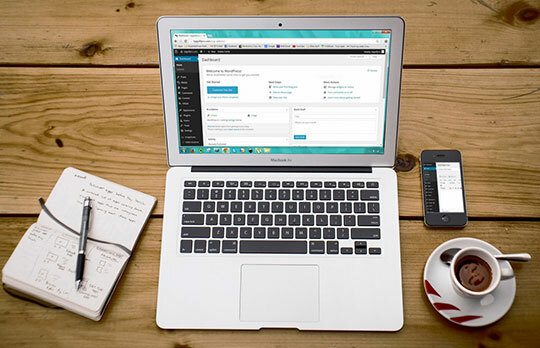 Throughout this article, we are going to address what a website builder is, why it is absolutely possible that you can create a successful website with one, and the benefits that come with it. A website builder is a tool that helps you design, build, and develop your website without the fuss of having to worry about coding. They are designed to be easy to use for both beginners and those with prior experience. This also allows the user to create an entire website using the tools drag + drop editor. Recommended for you: Website Builders: Choosing one with Prudence. Website builder niche is quite competitive which allows you to have many choices when looking for your own website builder to start with. The most mainstream website builders include Wix, Weebly, and Squarespace, which have the most sophisticated and easy to use UI structure. There are also a few independent web hosting providers which provide website one of these website builders within their core packages. One of such examples includes Siteground which is showcased in this Siteground overview. Whether you decide to go with coding or a website building tool, anyone can create a successful website with the right mindset and skills. However, by using a builder instead of coding, you don’t have to worry about programming, the CSS, the HTML, etc. You can create and build a website that it more branded to your vision of success. The building tool allows you to refine your purpose, or in other terms, allows you to better cater to your reader’s needs and wants. With coding, it is easy to get lost amongst the CSS and HTML. But with a builder’s drag and drop system, your purpose can be executed in a more effective and clearer way. A successful website comes down to excellent communication. With a website building tool, you are able to not only define your communication using clear headlines, sub-headings, etc but are able to create and build custom-made contact boxes and clear call to action leads throughout your pages with the simple press of a button. The drag and drop system of these tools makes the design process 10x easier than coding ever will. Visual representation of your brand and what you have to offer is super important. This includes your color palette, images, fonts, layout, and more. With the building tool, you can not only create a quick and beautifully designed website, but you have the chance to upgrade its design in the future without the hassle of having to re-code everything all over again. When a user visits your website, they will want to be able to navigate it with ease. Whilst this can be achieved with coding, a building tool will allow you to visualize the layout of a page, post, call to action, etc. as you are designing it, rather than once you finish it, which will ultimately allow you to determine the navigation a lot better. Possibly one of the most convincing reasons why using a website building tool will allow you to achieve a successful website is its mobile-friendly conversion. As a growing number of people turn to their phones finds to search websites, mobile optimization has never been more important. With a building tool, you don’t have to worry about the conversion to mobile or the design of your website, it does it all for you. These are but a few of the reasons why a website building tool can help you create a successful website. But there is more to online success than just these elements. Success comes down to the person, also. Find out below how using a website builder can benefit you and contribute to your personal success. You may also like: Wish to Build a New Website? Check Our Recommendation First. 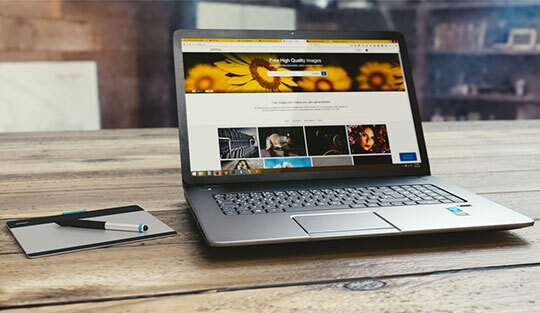 Many website owners turn to website designers as a good investment for their success, however, many don’t have those funds in their start-up costs. With a website builder, you don’t have to worry about any of that. You can achieve a successful website without forking out the big bucks. Building a website takes time, regardless of whether you build it yourself through a tool or coding, or hire a website designer. One of the advantages of using a building tool is that you reduce the amount of time it takes to get your website up and functioning. With the drag + drop builder, you don’t have to worry about time-consuming coding or waiting weeks for a website designer. The drag + drop design is great for someone who wants to build their website with ease and keep the future prospect of changing the sites look or moving things around in the future. All you have to do is simply drag your element to a new location. If you want to redesign it, all it takes is the click of a few buttons. It takes only a few seconds, and it’s incredible how much a simple move can make a huge difference towards success. The website building tools usually come with a range of free templates to design your website pages and posts, making it a whole lot easier to place your graphics, determine your color palette and fonts, and other design elements. 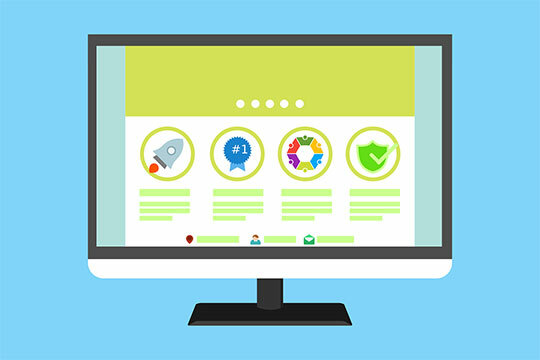 Each template is customizable, meaning that you can make your website look unique compared to others, and everyone knows that standing out is better. Yes, it is absolutely possible to establish a successful website with a website builder. It will also take away the added stress and time that coding can cause during your design and development process, as well as your websites future.